This page is an anchor for all relevant presentations at Bulbmeister.COM. 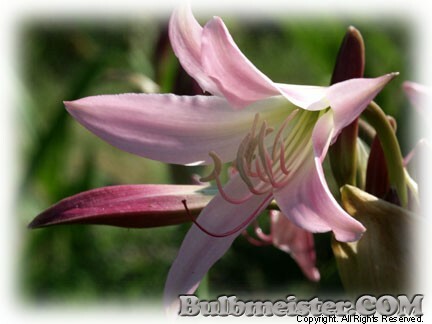 Catalogs - Offers links to the flower bulb shop, free downloads of current catalogs, or instructions on purchasing a mailed catalog. Contact Information -	Ways	to	reach	us. 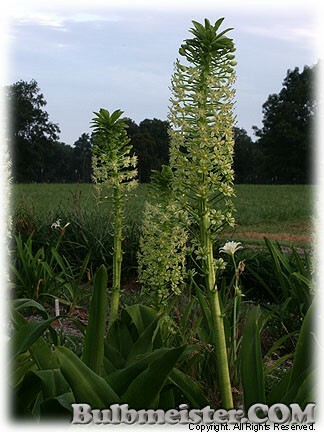 Nursery Flower Bulbs List -- Available year-round (no shipping December-February) and includes a number of Lycoris (spider, surprise, magic, hurricane, phoenix, & resurrection lillies) species. 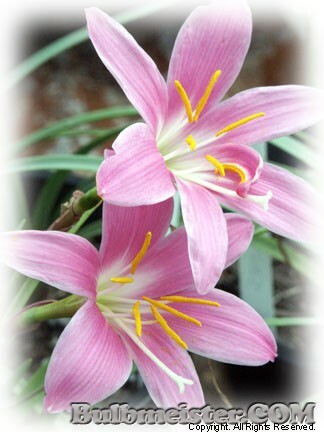 eBay Sales Page -- Visit this page to get a quick reference of available flower bulb Nursery Items offered on eBay. Forum - A place for sharing ideas in gardening and landscaping and getting answers quickly! Growing Guide - Download or view some basic helpful hints on cultivating flower bulbs. 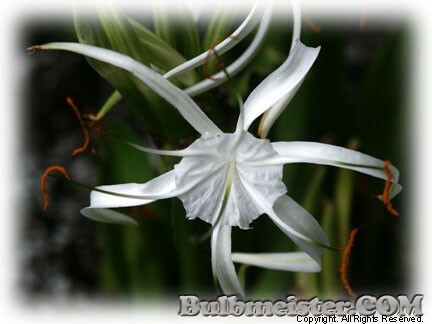 Image Gallery - Many hundreds of photographs are presented representing a wide variety of flower bulb species varieties, and cultivars.